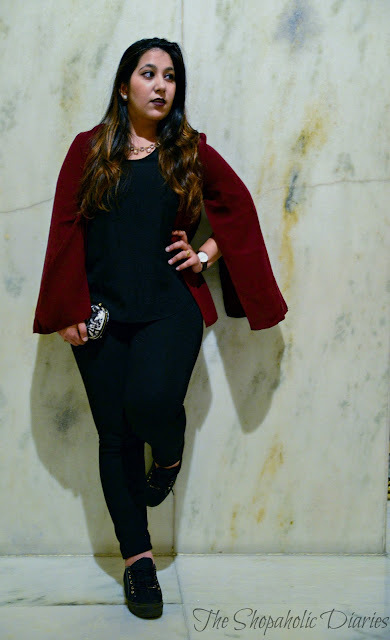 OOTD : What I wore to India Couture Week - Day 1 | Cape it Up | The Shopaholic Diaries - Indian Fashion, Shopping and Lifestyle Blog ! 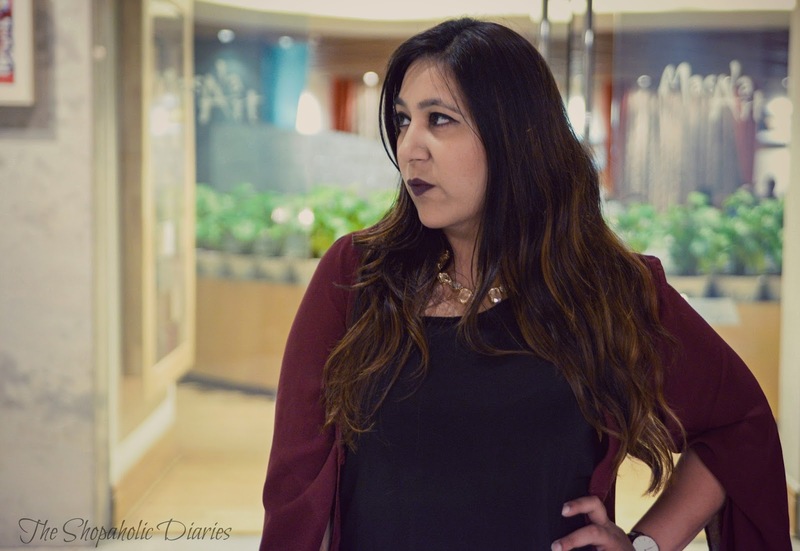 It's raining Capes this season, and I am treating myself with some trendy capes in various forms and colors. And the latest in my wardrobe is this edgy cut-out cape from KAZO which I recently wore to the India Couture Week. 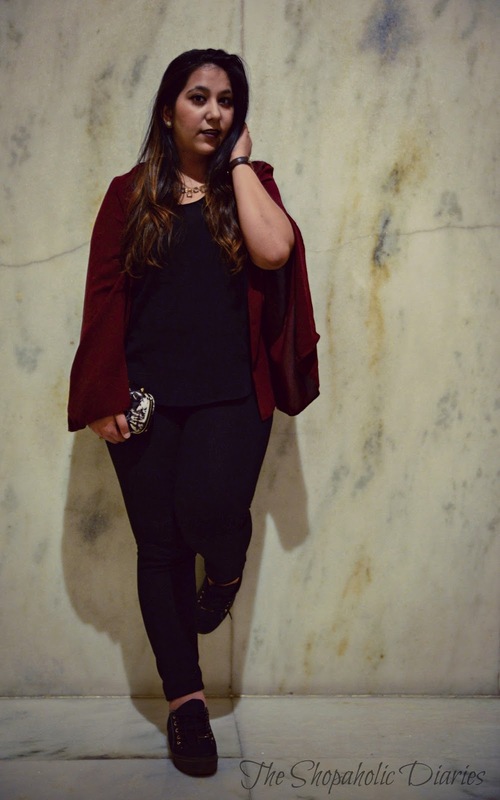 This breezy, trendy cape is definitely a versatile pick as one can easily toss it over shoulders paired with a cute dress for a girly look or with a tank top and ripped jeans for a casual chic look. 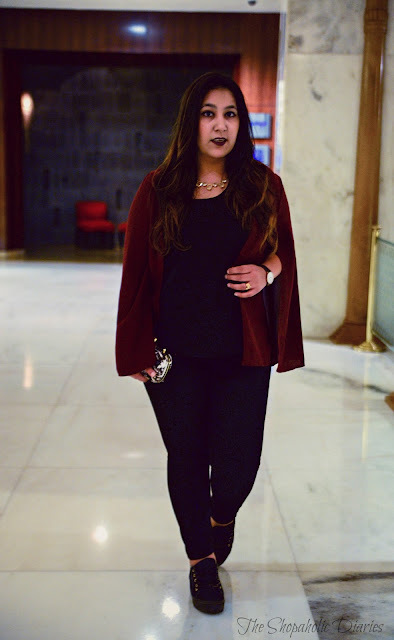 Its definitely true that nothing brings more drama to a look than a cape, that's why I went ahead for a classy look that was perfect for the evening and paired the cape with a black tank top from Forever 21 and leggings from ZARA. 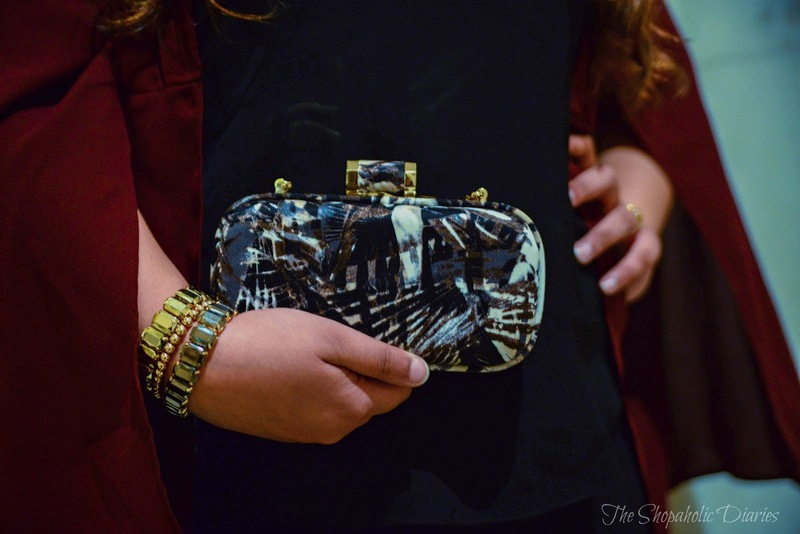 To complete the look I wore my Call It Spring sneakers and carried a monochrome clutch from KAZO which is equal parts glamorous and girly. To add a little sparkle to my dark look, I wore a stunning neckpiece from KAZO and layered bracelets from ALDO. It's definitely one of my favorite outfits this season! Are you also loving capes this fall?